Angry Birds needs no introduction, and neither does Peter Vesterbacka, the creator of the massively popular game from the Finnish company Rovio Entertainment. I had a chance to attend a power-packed conference called InnovFest unBound that featured all-star speakers sharing concrete insights from their numerous touchpoints with entrepreneurship. Peter Vesterbacka is an incredibly approachable and friendly guy (how can you not be in that jacket?!) and I had a chance to personally meet him after his presentation. He says that his key pieces of wisdom for entrepreneurs is: “Don’t think; do. Do. Think.” This stems from his observation that people spend too much time thinking about the problems rather than doing anything about the solutions, and action is the only way we can advance our dreams. 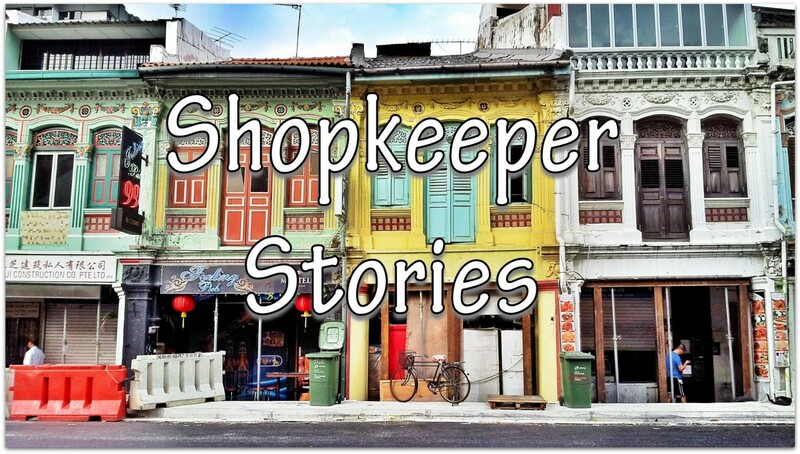 Rather than take up Peter’s time with a fresh interview for Shopkeeper Stories (plus, there were many others who wanted his attention), I put together all the compelling points from his presentation, and you can also watch it in the video below. We had been making games since 2003. We made 51 games: Angry Birds was not the first. It was actually the 52nd game by 2009. How did the evolution happen? We started making games before the iPhone and Android—when our friends at Nokia were still making phones. We were always making games, but it wasn’t easy for a startup to be widely distributed. The app store changed that. The problem is not getting the game out there—now, the problem is what it should have been all along: making great games. The game came about because Jaako Iisalo, one of our game designers, was pitching a new game idea. The team didn’t quite like the game idea, but everyone fell in love with the character— the birds. We started building a game around the character. It’s a different way of doing games because we started with the characters and built a game around that, and not the other way around, where typically you have a game and need to come up with some characters. Eight months later in December 2009, we came up with the game… and it became a bit of a success. When did you decide to take it further to clothes, shoes, toys, and so on? We made a lot of games before; we know it is super difficult to make hits. We don’t run round saying: “We know how to make “hit games”!” (or “hit movies” or “hit music” or whatever). You should run for the exit when someone says to you: “Hey, WE know how to make hits”. It’s not a totally predictable process. From the beginning, we had a strategy: let’s make games for the iPhone until we have a hit– and then we’ll take it everywhere. With Angry Birds we had a hit – and we know it’s pretty difficult to make hit games – so now that we had one, we were going to take it everywhere. Not just taking it to all the app platforms. We saw ourselves not just as a games company, but an entertainment company. So, we started making animations (we acquired an animation studio and started making animated shorts), we launched something called ToonsTV (which is now one of the biggest video distribution networks on the planet: we have over 6 billion viewers for our animated shorts). Then we got into toys. We looked at Sponge Bob and Nickelodeon and thought: how is it possible that the Sponge Bob character – which is not amazing, if you ask me, it’s okay – was at the time doing $4 billion at retail value? We asked ourselves: How is that possible?! If they can do it, so can we! So we looked at the licensing market and launched the Angry Birds plush toys— we have a few million of those out there. That was a bold move! Creating a film production was a massive investment which turned into a successful hit. Was that something you saw coming? We had notions early on about risk— you can’t say we had everything planned: eg. we will do games, then animation, then merchandising, then movies – that’s not how it happened. But, our business is pretty simple: we only need to worry about two things: our brand, and our fans. We are in the business of providing Angry Birds products and experiences in all forms and shapes to our fans. Sometimes it’s a new game, sometimes it’s a movie, sometimes it’s a soft drink. It’s still very focused on the brand of Angry Birds. For the movie, we decided to pay for the production ourselves, like how George Lucas produced Star Wars originally. It would have been pretty easy for us to say: here is Angry Birds (the brand), give it to Hollywood, and they make a not-so-successful movie about the game. But we wanted to make sure it was a great movie. It cost a bit over $7 million to make, and we had a $43 million opening weekend. It was a huge project that took 4 years— our biggest production ever. It takes longer, and more money. to make movies than a game, but everything we do is supporting the brand, and providing a branded experience for our fans. Do you worry that people will get fed up with the character? Disney and Nickelodeon have many characters to sustain them, and you only have one. It’s up to us to keep it fresh and provide great branded experiences, so we every year we make fantastic new games. I’m not concerned about that because we have been around for 6 years, the games have been downloaded 3 billion times, 98% of the Chinese market knows our brand, 91% of India knows our brand, 9/10 Americans know the brand. We built one of the most well-known brands in entertainment, very fast. If you look at some other inspirational role models, we have been around 6 years, like a baby, so we are off to a great start. If you look at Hello Kitty (not a cat, but a middle age lady in Japan)—it is 40-some years, just one character, and still going strong. Or Mario, 25 years old, and Mickey Mouse, from 1928 – and still not dead. When did you realize the game worked? Do you remember that moment when you broke the glass ceiling and knew it was there to last? It’s very tough to say there is one moment. There is a series of moments. We knew we were onto something when all the developers were playing the game a lot and couldn’t stop. We always want to make games we love to play ourselves. Everyone was playing the game during development, and it’s a very important characteristic: if you really love what you do and love the product, then of course you make it better, and that’s what happened with Angry Birds. We came out with the game in December 2009. Niklas, one of the founders, took the game home for Christmas and gave the phone to his mom, and he didn’t get his phone back. She is a normal mom who doesn’t play games, but she loved the game. Where did the passion come from? Was it a passion for creativity, or passion like startups who want to take over the world? I have been working for startups for a long time since the 1990s – I was working for HP. That’s what first brought me to Singapore: it had a big presence here, and I was running something called the HP bazaar—like a corporate incubator—partnering, marketing, and developing programs. Carly Fiorina was the CEO at HP at the time. She came to Singapore and met the Prime Minster who wanted the HP Bazaar in Singapore, and I took care of it. We worked with startups with physical sites in Helsinki, Beijing, Shanghai, and so on, and as part of this, I organized a game-making competition. Niklas and two of his friends (they were students in Helsinki) won the competition with their game. They asked, what now? I said, you guys love making games, you love playing games, why not start a company to make games? So they started Rovio. So that was my connection. It’s great to see how these things started from very humble beginnings – Rovio, and another successful company called Super Cell—they all started from student projects, and that’s why I spent most of yesterday with student volunteers from various schools in in Singapore because that’s the most inspirational part and I could share what I learned from my years working with startups and encouraging them that it’s okay to be an entrepreneur, you don’t have to work for a big company. How do you see difference in take-up in Asia between Europe, America? There are 5 million people in Finland so, like Singapore, we knew that being Number 1 in Finland was not good enough, it’s no big deal; you always have to go outside. We never talk about needing to make a global market, it’s a given that of course it’s a global product. We thought: how do we make something that resonates everywhere? In the original Angry Birds, we removed all text so you didn’t need to know how to read, it’s very visual. That’s why even 2 year olds can play Angry Birds. What advice would you give to an audience on failure and taking risk? The most important thing is to just go do it, and there is no reason why not. If we can make Angry Birds in Helsinki, why can’t you do the same here in Singapore? It’s very important to have role models. We need to have role models in Singapore who have taken it forward. In Helsinki we have 200 game studios and an explosion in startups, and people say, if those people could do the same, we can try it, too. Where is Angry Birds headed? A bit of the same, but much bigger, much better, much faster. One important part of our success is that we haven’t been afraid of going into new areas, it’s very important to have an environment where you’re not afraid of failing. Also, we’re not very good at taking advice. When people say: you guys are a games company, you shouldn’t go into toys or movies, we say: yah whatever, we have done it anyway. It is not always massively successful and we have small or big failures every day, but it is important that you are not afraid of going into new things, and that’s the only way that I think you can be successful. Just do it, and don’t listen to people who say you can’t do this and can’t do that. Don’t believe everything people tell you that you’re not supposed to be doing. I always wear this for work. Whether I’m visiting the Buckingham Palace or White House— and I’ve been to both a few times—I’m always told that I’m supposed to dress “properly” – but like I said, I’m not always good at taking advice. The red hoodie actually came about because we are 20 people in the company, and I wanted to make a point to the team that it’s all about differentiation and you have to stand out. It’s a super crowded market – not just in games, but any market, actually. I was at a panel for an event in Berlin, it was a “serious business thing”, and everyone was wearing proper business attire – dark suits – and I was wearing a regular red hoodie – not Angry Birds or anything – but a red hoodie, and I was sitting there on the panel surrounded by people with dark grey suits. So I took a photo and shared it with the team and said: THIS is differentiation. It was very easy to spot me. I said: this is how we do marketing at Rovio. We do it differently. We make sure we stand out. After that, the company ordered Angry Bird branded hoodies, and it became a thing that when you join Rovio you get a hoodie. If you go to any event in the world and other Rovio people are there, you are easy to spot. This entry was posted in Electronics, entertainment, Singapore, Startups and tagged angry birds, app games, branding, entertainment, entrepreneurship, marketing strategy, mobile games, risk. Bookmark the permalink.